Previously I had written an article about understanding SEO. And this time I will try to review a little about the steps of SEO website so that our site can get a ranking on Google and other search engines. It may be short enough, but I write it based on what I learned in SEO Academy and some experiential personal experiences, as well as from some other references. Hopefully what I write can inspire you to understand more about the practical steps of implementing SEO on the website. If you want to create a successful website, you should also consider to build a blog on the website. The point, in addition to increasing trust in visitors, also to provide credibility in the eyes of search engines. Maybe you ask, "Loh, how blogs can increase trust in the eyes of visitors?" Well, blogs can work like that. Visitors may not find the product / service they are looking for. But when on muter-muter read other content contained in our blog, who knows he found other information that he might need. Remember, the key word is "INFORMATION". So slowly but surely, in him will grow the confidence that our website deserve to be a reference / reference about products or services that are in search. So also for search engines. Blog is one important element for our website to fulfill its purpose. If the content is always updated, the search engine bots will be more like it. About how to create a blog, if we use the WordPress website of course this will be very easy, guns need to bother again how to make blog features. Because as a CMS, WordPress already provides this facility. how to seo website, how to seo blog Summary tips on how to optimize SEO practical blog I got from a writer, experts, as well as SEO practitioners, he called Mas Diar Seonubi. 1. Determine the theme or topic of the blog - before we create a blog, determine the main topic that we will stretcher, because it will become a blog title which later translated into a blog description. Obviously this topic is also relevant to our website as a whole. 2. Keyword research (KW) - do this first when you want to write a blog, then it's good not to want to pursue keywords that big potential traffic. Start from a small potential, which is important we must understand the principle of work. 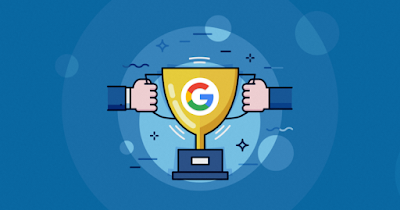 If it can appear in the search results with a lightweight keyword, then we increase it by using keywords that the competition is heavy. Principally, the important thing can appear in the search results first, use a lightweight keyword does not matter. 3. Relevant posts - and create quality content. Create unique and useful content, but do not get out of the main blog topic. Then create links between pages, so between pages promote each other. 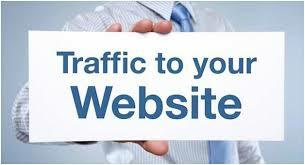 If many pages are read visitors then the blog is considered qualified. 4. Prepare SEO ONPAGE - for example like optimizing the use of keywords in the Meta Title, Meta Description, etc, according to the results of keyword analysis. 5. Indexing - while waiting for your post to go in Google, you can share to social media so that posting faster indexed by Google. 6. Do SEO OFFPAGE - for example you can use backlink pattern commenting, backlink wheel / pyramid, submit to social bookmark, etc .. If I may say, these 6 steps are the essence of basic SEO efforts. Not complicated very, even for beginners. A bit heavy is the issue of writing articles that are interesting and sell, as well GOOGLE FRIENDLY so easily found by GOOGLE. Because after all, building a blog requires a strong determination to write. By the way, I remembered the lesson of Bahasa Indonesia chapter, make pusyiing. Ha ha ha..
Then, Where Do I Start? Start by making relevant posts and often practicing researching keywords. Because this is important to do. They are experienced SEO practitioners and have OLD flight hours. But if you think you've made dizzy, yes it does not hurt you also use third-party SEO services. Even so, it's good you also understand the concept. Well, hopefully tips on how to SEO website using this blog is useful for friends yaa. Please submit in the comments field if you want to share about SEO. Help me share this article to make it more useful.